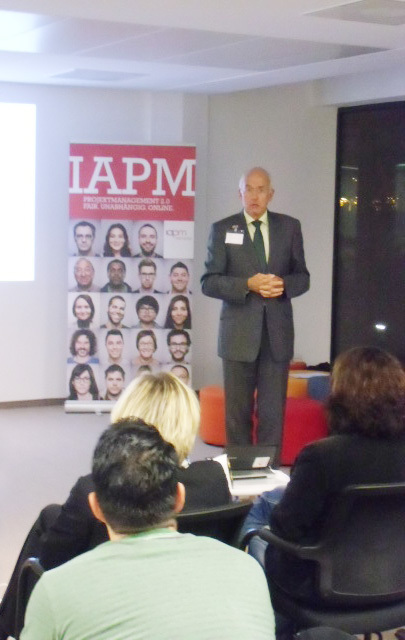 IAPM Senior Official Udo Schmidt hosted the first IAPM Network Meeting in the Metropolitan Area of Hamburg on 24 October 2013. 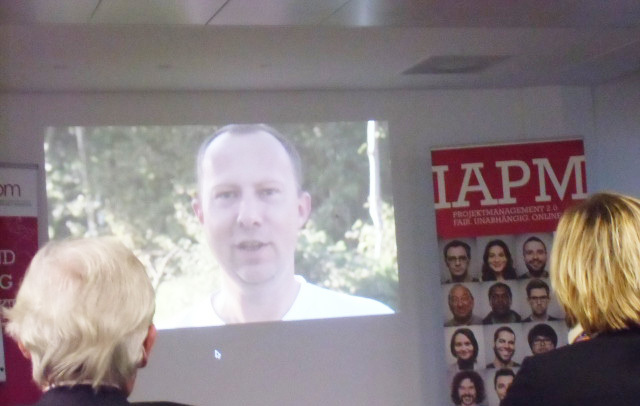 It was attended by IAPM certificate holders and their guests. 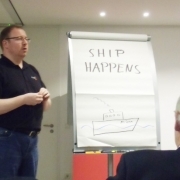 The event took place on the premises of it-agile GmbH, offering guests an impressive panoramic view of the Hamburg Docklands from the 5th floor of the building, which is located right next to the cruise ship terminal. 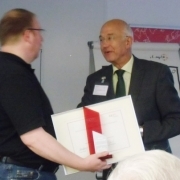 One of the highlights at the IAPM Network Meeting was the presentation of the IAPM Book of the Year Award to the authors of "The Power of Scrum", Henning Wolf, Eelco Rustenburg and Rini van Solingen. 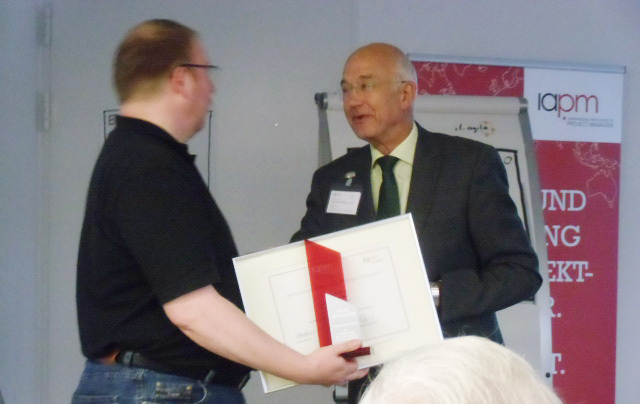 Henning Wolf accepted the award on behalf of his co-authors from Senior Official Udo Schmidt. 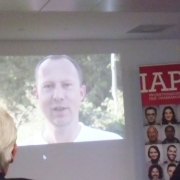 A video message from another of the authors, Rini van Solingen, provided a further entertaining interlude. 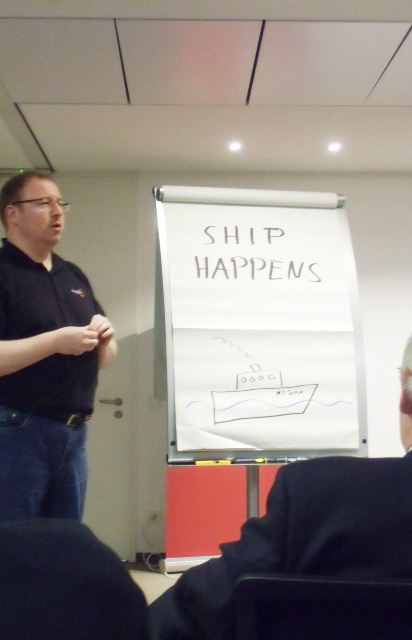 In his very interesting presentation, Henning Wolf explained the book’s content and told the story of how it came to be written. 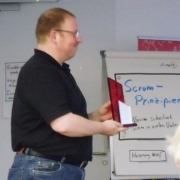 He also provided his audience with an overview of Scrum topics, plus insights into his own work with Scrum and his experiences with this agile project management method. 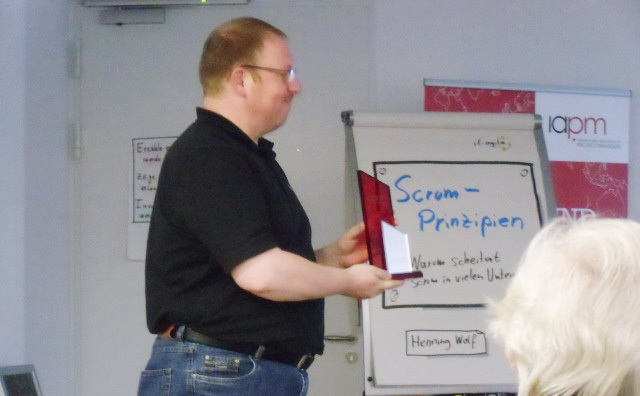 The content of Henning Wolf’s presentation was taken from his day-to-day experiences as a trainer at it-agile and his experiences during the roll-out of Scrum at his organisation. Afterwards there was a questions and discussion part which met with a great deal of interest from participants. 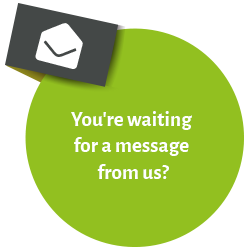 Before long, the presentation had turned into interactive dialogue with the audience. 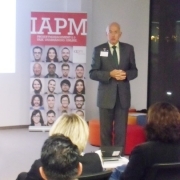 Before the final networking part, when drinks and snacks were served, Udo Schmidt provided a brief overview of the IAPM’s services and portfolio. 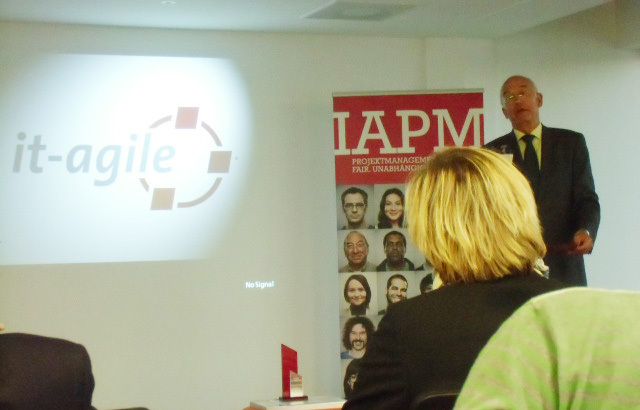 The guests were particularly interested in the option of getting existing project management certificates with limited terms of validity recognised by the IAPM. 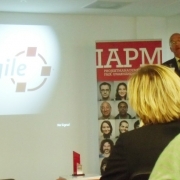 They discussed the content of the event in more depth at the concluding informal get-together, and also took advantage of the opportunity to network with new contacts and study the documents on Scrum, the Book of the Year and the IAPM which had been put out on display. The Network Meeting ended at around 9 p.m., with the majority of participants taking one final look at the illuminated Hamburg Docklands before they left for home.